*All our rental locations have air conditioning included. 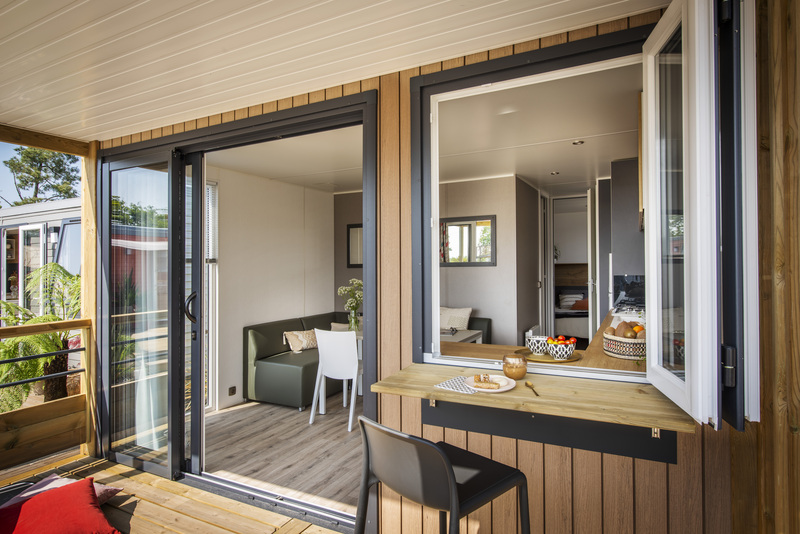 Come and discover our new range "comfort plus" with our new mobilhomes for 2, 4 or 6 persons, of a size of 25 m² to 43 m² (including the terrace). 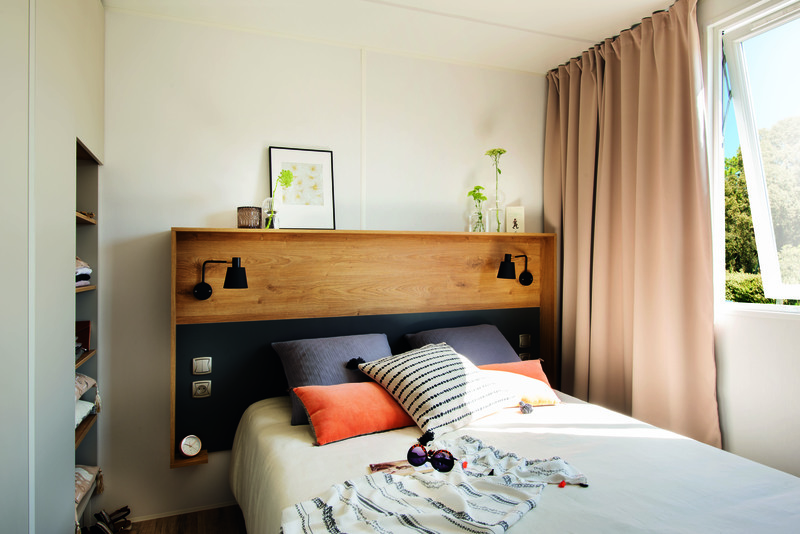 With 1, 2 or 3 bedrooms, you will enjoy your holidays with your friends and family. 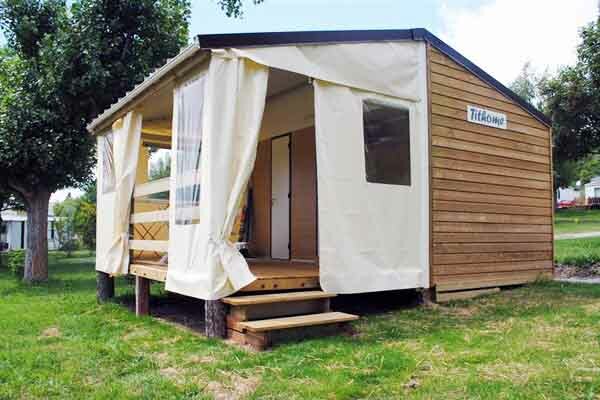 Each mobilhome is situated at the bottom of the hill, half or completely in the shadow, with a half-covered terrace. The comfort plus range disposes of a superior equipment, in particular the television. 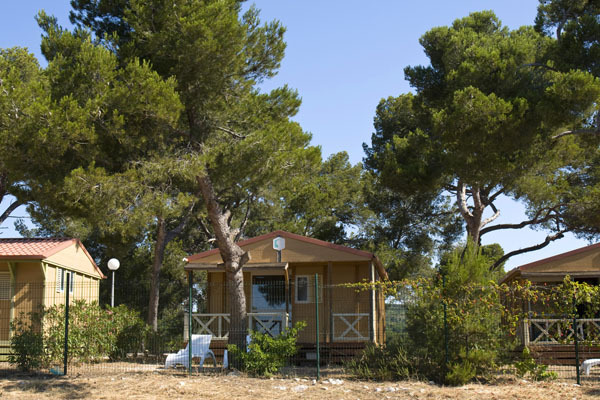 Our bungalows (5/6 places) are located on a hill in the heart of a preserved nature and have a magnificent view on pine trees, the beach and/or the sea. 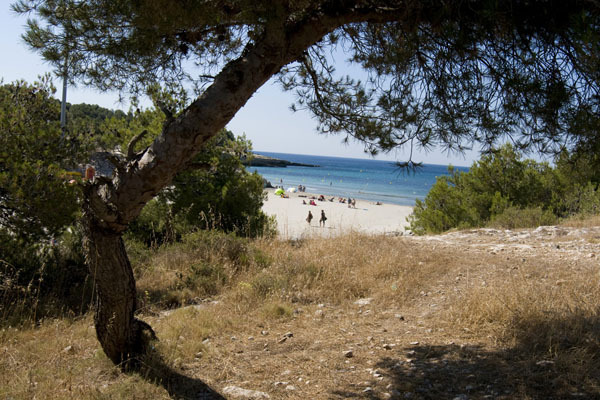 Each property has its own private place (from 80 to 100m2) in or half in the shades. 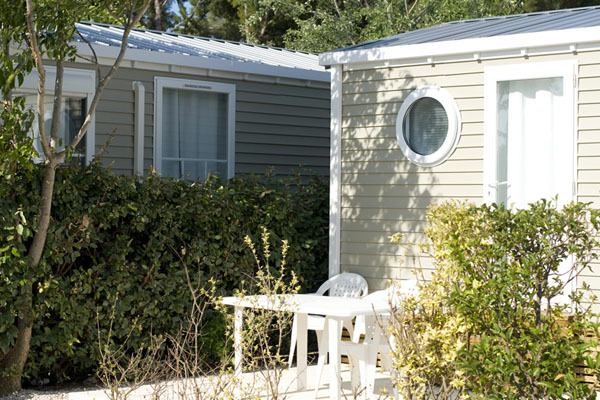 Each bungalow has the same equipement as our ‘standard’ offer with an extra two lounge chairs and a television. 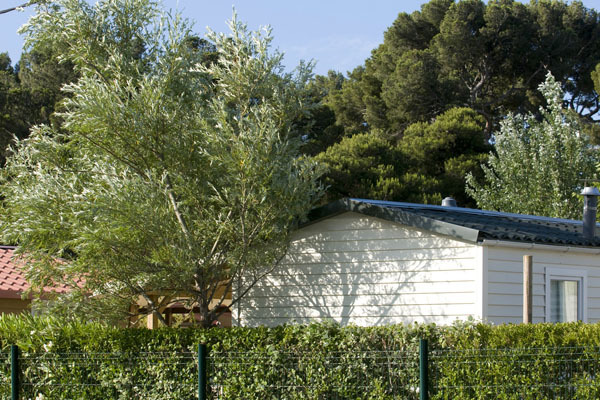 A dishwasher is available only in the Bungalows 6 places. ATTENTION: Access by stairs : not recommended for persons with a handicap. 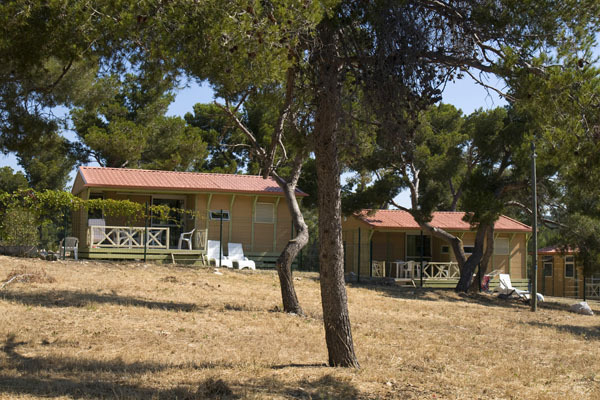 These bungalows are equipped with 1 or 2 bunk beds, for max. 14 years old kids. Please contact us for further information. 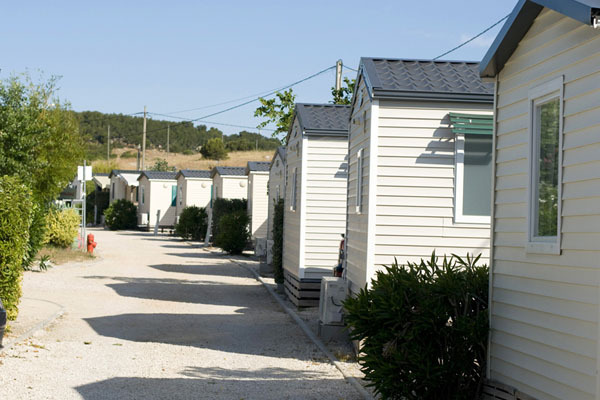 Enjoy our recent mobile homes (2, 4 and 5 places). 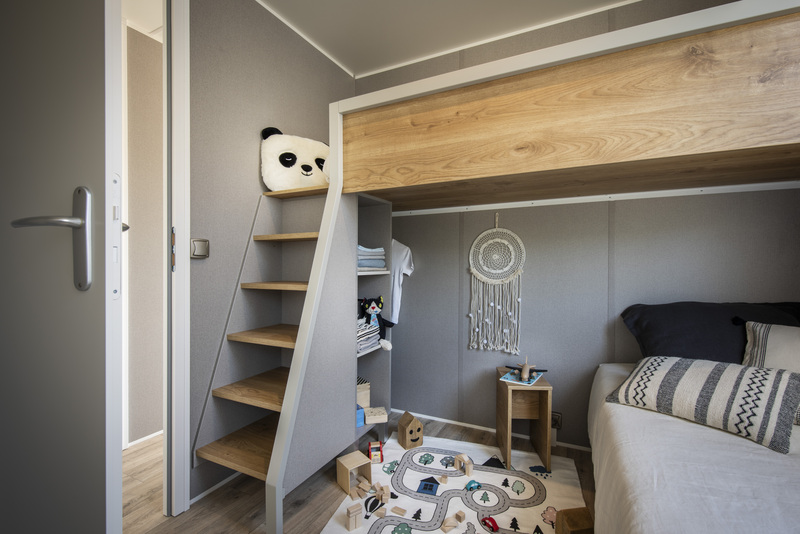 You can have breakfast among the squirrels in a familial atmosphere that is most enjoyable for your children. 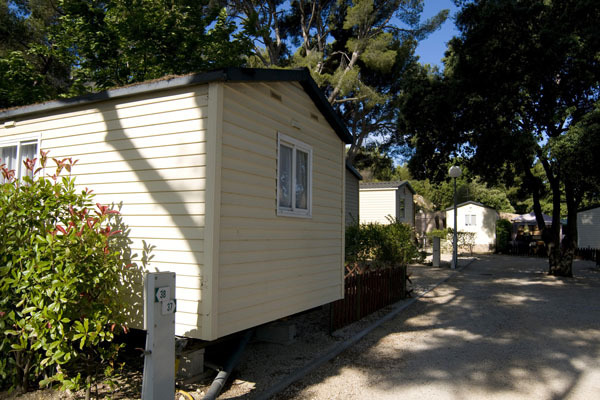 Each mobile home is equiped in the same way as our ‘standard’ offer with two lounge chairs extra. 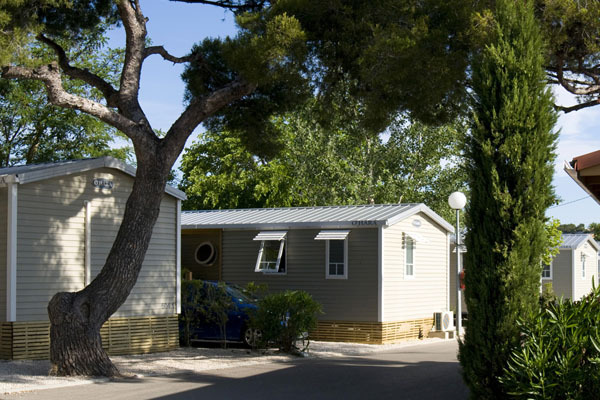 In this mobilhome or bungalow (4, 5 or 6 places) you can enjoy your holidays at less than 100m away from the beaches of La Saulce and St. Croix. 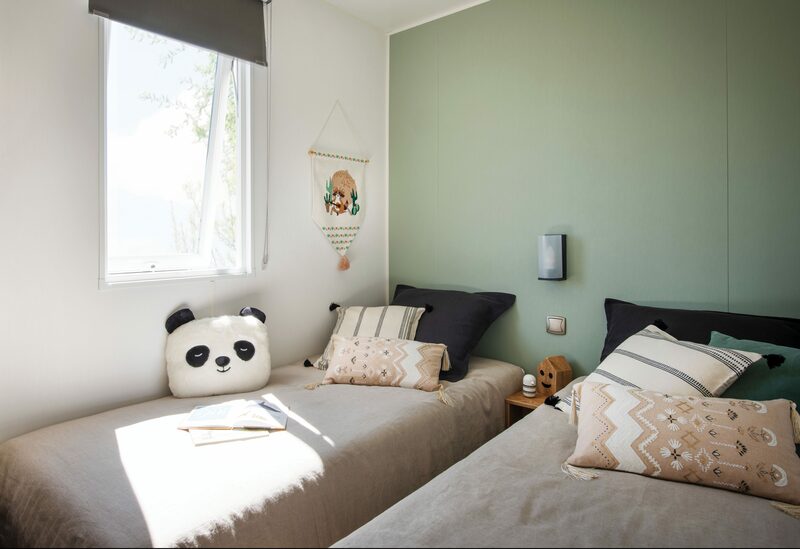 Every rental accomodation has 2 or 3 bedrooms, an equiped kitchen (fridge, microwave, coffee machine…), dining corner, shower, toilet and roofed terrace. 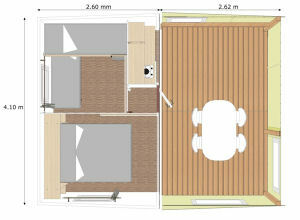 There are also : blankets or covers, cushions and a garden set (table, chairs). Not included are : bedsheets (rentable) and other household tissues. 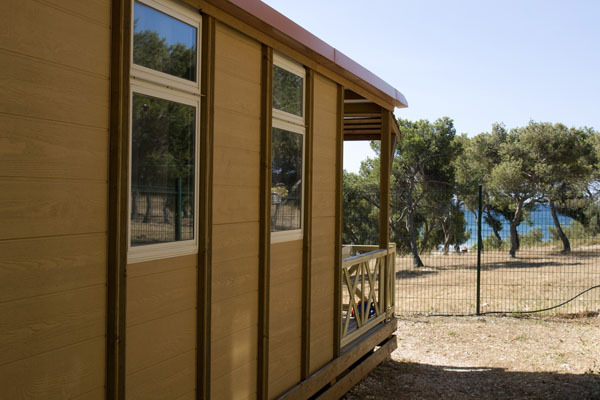 The bungalows Standard are equipped with 1 or 2 bunk beds, for max. 14 years old kids. Please contact us for further information. 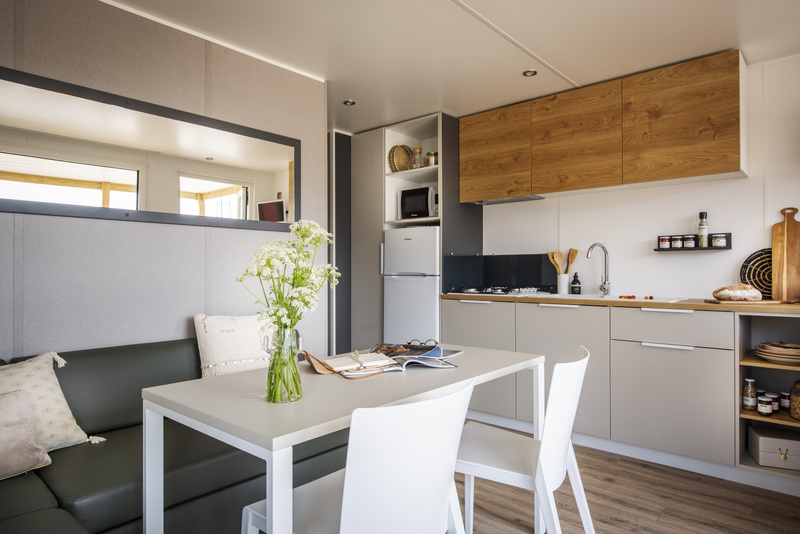 With its large partially open terrace, the 'Tithome' (4/5 places) brings you right back to nature. 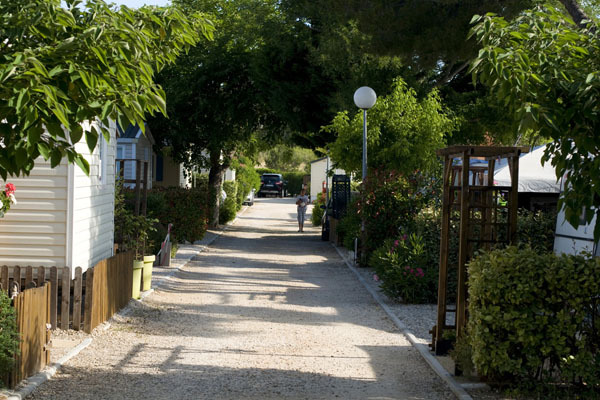 The two separated and isolated bedrooms and the private toilet offer you the comfort of a mobile home while the rest will feel like classic camping. 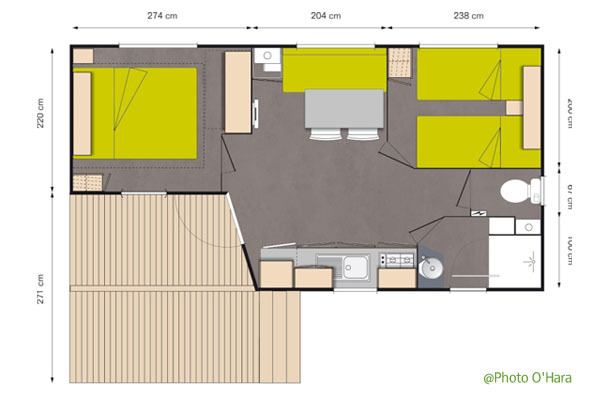 This Bungalow doesn't have its own showers. They are located near a sanitary blocks. 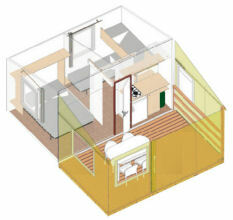 Every rental property has its own private access and has direct acces to water and electricity.